A USB flash drive is a removable and rewritable storage media. The data stored in USB flash drive is less susceptible to loss than a floppy disk. Due to any of the reasons mentioned above, you can lose your valuable data. Therefore, it is always suggested to maintain a backup of the data stored in USB flash drive on other storage media. Most of the cases can be solved with the help of manual or automated methods, but to recover data from a physically damaged hard drive is nearly impossible. That’s why taking precautions is always recommended. When a USB flash drive is corrupted, your computer system finds it unable to read the data stored on it and displays the message; ‘Drive could not read. Needs formatting.’ After reading the message, most of the users format the USB flash drive, which results in data loss. 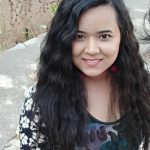 On the other hand, sometimes, when you attach the USB flash drive to your system, anti-virus/anti-spyware installed on your system marks some files suspicious if they contain any information that can harm your computer system. At that time, anti-virus/anti-spyware prompts to quarantine/remove the file, which also results in the data loss. Whatever is the reason for data loss whether virus infection, accidental deletion, or formatting, you can easily recover the lost data. The files removed from USB flash drive are actually not deleted but just marked as deleted because of which you cannot view them. Until the files marked as deleted will not be over-written by other files, you can recover lost data from USB flash drive with little efforts. You can recover your lost data with the help of hex editor. This method is highly risky and is not advisable if you are not from a technical background or you do not have the proper knowledge. Using this method can cause you more loss than recovery if performed improperly. If you are so persistent about the manual method of recovery than you better take help from someone who has the proper grip of the subject. For the manual method, you will need the corrupted drive, a computer system, hex editor (like WinHex), another drive to save recovered data and the name of the deleted file. Start with connecting both drives to your system and start the hex editor. Follow three steps which include Scanning of the disk; this step will help you to identify the files which have got deleted. Then you need to identify the clusters; there are cluster chains for the deleted files, find yours. The final step is to start recovering the clusters that contain the deleted files. It is highly recommended to take the proper assistance of someone who knows the criticality of this method if you are not sure about it. 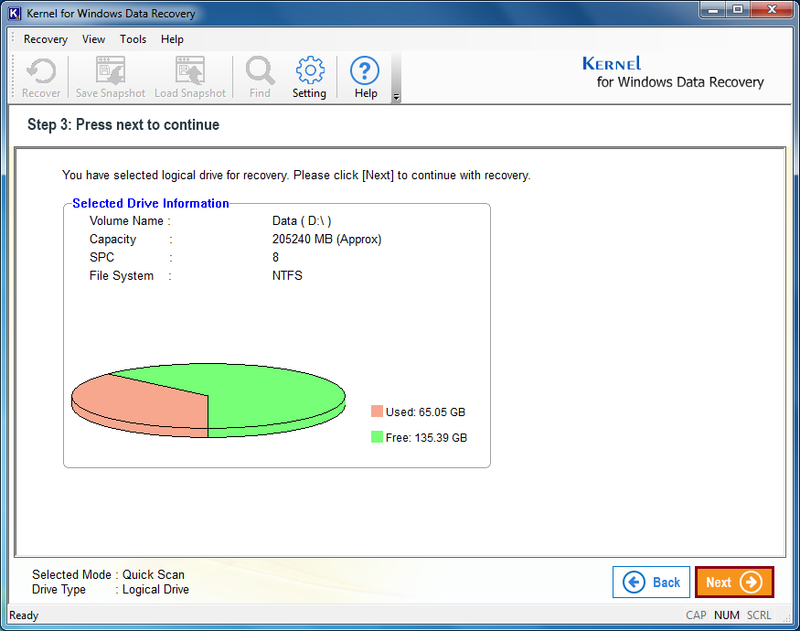 The easiest way to recover lost data is with the help of a recovery tool. 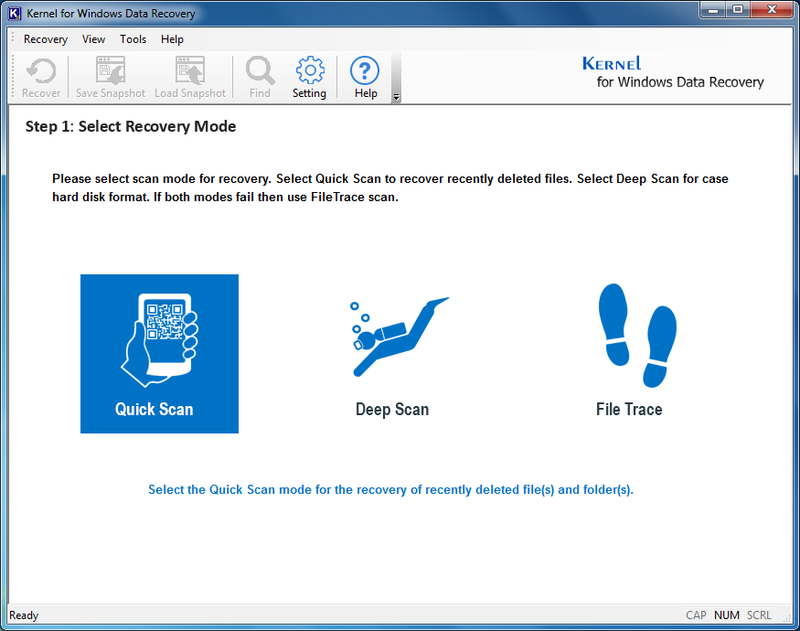 Data lost from USB flash drive can be easily and perfectly recovered using Kernel for Windows Data Recovery software. The software repairs the USB flash drive if corrupted and recovers data with full accuracy. In case, the USB flash drive is not corrupted, but you have lost data due to accidental files deletion, virus attack, or formatting, then Kernel for Windows Data Recovery is the best solution to recover lost data in no time. 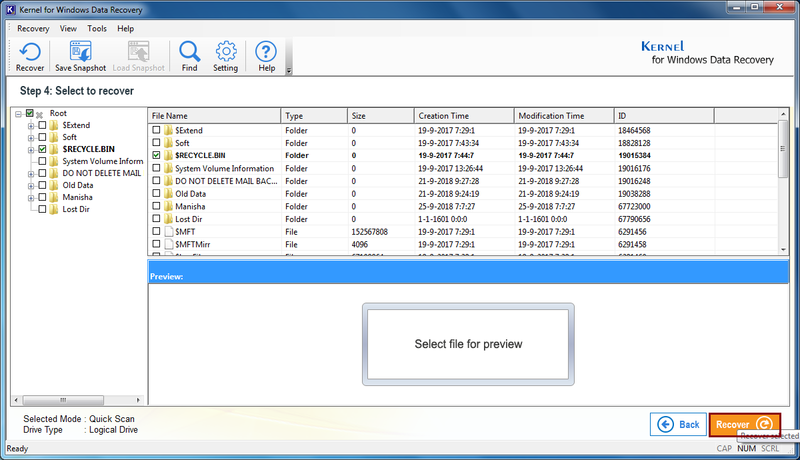 Launch the software and figure out which scan method you need and select it, like Quick Scan. Select the Flash Drive from the left-hand side of the screen and click on Next. 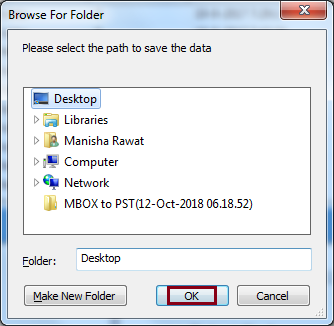 On the next window, you will see all of your drive’s information. Click Next. The process will start, in case of any doubt, you can stop it anytime by clicking on Stop. If there is any specific folder you want to recover, then select it and click on Recover. Or you can recover the whole flash drive. Now, choose the destination for your file and click on Ok. The recovery process will take place. When it is done, click on Ok.
A large amount of data can be stored in USB flash drive. Because of its portability and durability features, it has been widely used to carry data in a secure and encrypted manner. Therefore, it is very necessary to keep your drive safe and protected. 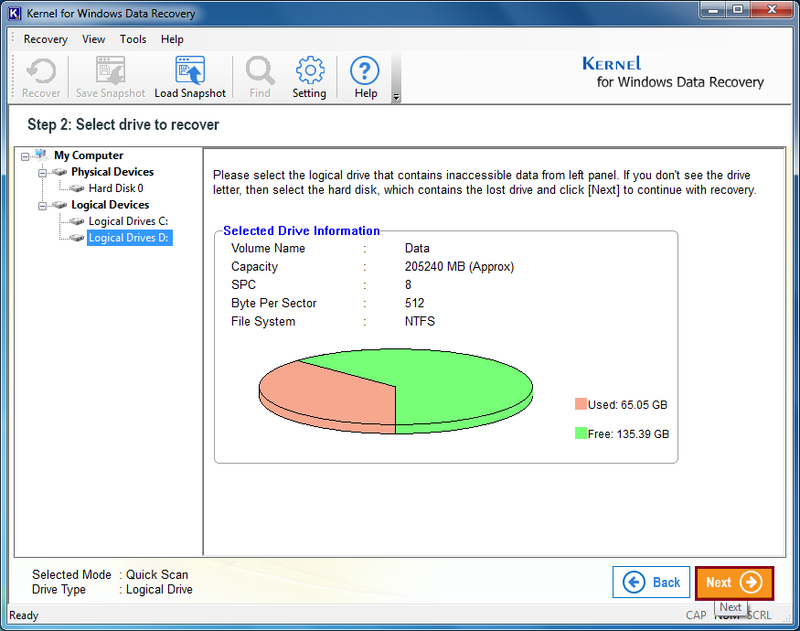 For this, get a backup or install a data recovery tool like Kernel for Windows Data Recovery.